Canon is making its debut at one of the world’s largest fairs- Pushkar Cultural Fair. This 8 days long event is witnessing a Canon Professional Service Camp along with synergic set up of Touch, Try, Consult & Buy Zone, for the professional photographers and photography enthusiasts, at Pushkar Cultural Fair 2017, from 29th Oct to 3rd Nov 2017.Canon Professional Services (CPS) is an exclusive membership service for professional photographers that are using Canon professional cameras and equipments. Members can enjoy a range of benefits, including discounts for servicing, priority repair services and free back-up equipment loans during repairs.Speaking at the occasion, Mr. Kazutada Kobayashi, President & CEO, Canon India, said, “North India is one of our top priority markets, the whole region contributes 26% of our total revenues. With their picturesque landscapes, architectural sites and beautiful temples, Pushkar and Ajmer combine to make two significant locations for our customer outreach in this region. With continued focus on regional penetration, we are diving into the deeper geographies, with our robust product and service solutions. This Professional Service Camp is yet another endeavour aimed to empower the photography and imaging experience of our valued customers.”Sharing his thoughts, Mr. Eddie Udagawa, Vice President, Consumer Imaging and Information Centre, Canon India, said, “We have recently celebrated a global milestone of production of 90 million EOS series cameras and 130 million interchangeable EF lenses. At the Pushkar Fair, we will be providing our support to Canon EOS Professionals, and will support their endeavour of capturing the best shots encapsulating the color, spectacle, and carnival of one of the last great traditional fairs in the world.”To achieve its motto of ‘’Delighting You Always’’, Canon India has a robust service infrastructure consisting of both Direct & Indirect channels, catering to the entire range of B2B & B2C products across the length & breadth of the country. The service infrastructure not only deals with repair of the products but positively influences the customer’s behaviour towards the organisation. 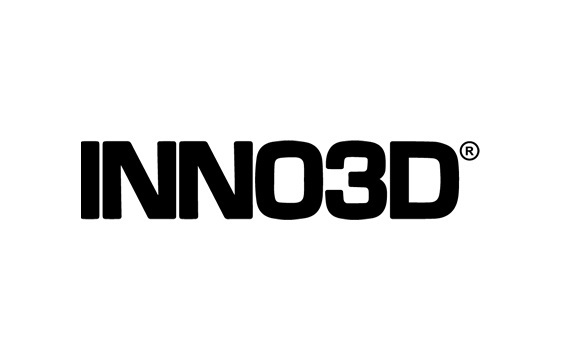 INNO3D presents the new family of INNO3D gaming graphics cards GeForce GTX 1070 Ti. The full range will exist of TWIN X2, JET edition and the flagship models iChiLL X3 and X4 series. Designed on NVIDIA’s Pascal™ architecture, INNO3D GeForce® GTX 1070TiiChiLL X3 and X4 achieve insane frame rates at crazy monitor settings, setting new standards on tomorrow’s high–end games and breakthrough the latest VR applications. Similar to the GeForce GTX 1080Ti series, the new GeForce GTX 1070 Ti family is equipped with the renowned iChiLL cooling solution temperatures and noise levels are kept at a minimum. The Herculez Armor back–plate protects the cards from outer damages as well and puts it way at the top of Ultra High End graphics cards in the world. “The newInno3d GeForce GTX1070 Ti graphics card is a brutal weapon for every gamer who is in to take on the world.” commented Ken Wong, product specialist at INNO3D. 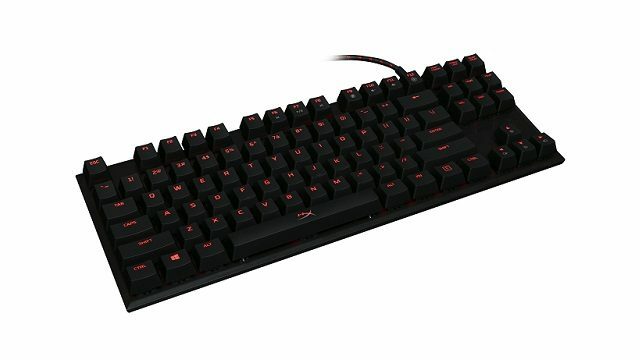 “We have looked very closely at the ways to improve cooling and optimize performance and endurance which made us able to use the GeForce GTX 1080 Ti cooling solutions on this family as well.” Abacus Peripherals the National Distributor is all geared up to bring the beast and will make it available PAN India through their 22 branches. PQI of Foxlink Group announced “Smart i-Charger PD” that supports quick charge on the latest iPhone X and iPhone 8/ 8 Plus. Sporting Type-C connector and USB Power Delivery (USB-PD), it can charge from low battery status to 50% power within 30 minutes, bringing your phone back from the brink of shutting down to operability. “Type-C connector and USB-PD quick charge function showed steady development and popularized in recent years. 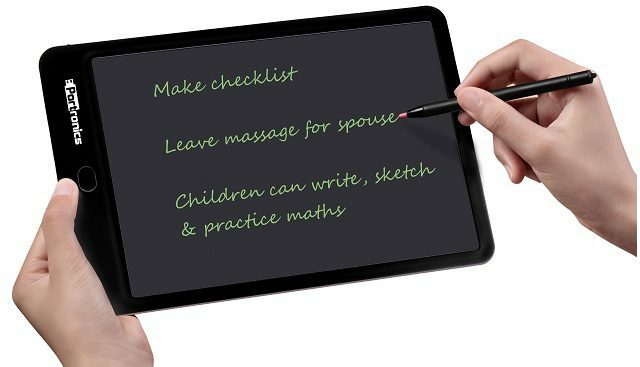 With iPhone 8/ X and MacBook Pro supporting quick charge functions, it presents commercial opportunities for mobile peripheral manufacturers” said John Wang, President at PQI. According to IHS Markit, up to 2 billion devices (laptops, desktops, smart phones, tablets, etc.) with Type-C connection will be manufactured by the year 2019. What is worth mentioning is that currently there are 2 million Nintendo Switch (Type-C compatible) on the market and there seems to be a rise in automobile Type-C applications (up to 20% market share) as well. Apple camp or not, this definitely injects new life into the quick charge market. 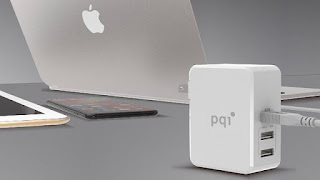 To greet the USB-C PD quick charge era, PQI has been proactively preparing with multiple peripheral products such as cables, storage devices, hubs, mobile power banks and now, the latest Smart i-Charger PD, offering customers a complete solution. With the aid of Foxlink Group’s R&D and distribution, PQI is determined to face this blue ocean opportunity head-on with full of confidence. PQI Smart i-Charger PD features Type-C Power Delivery (PD) quick charge function and can charge up to three devices simultaneously. It has one Type-C and two Type-A connectors with a total maximum output of up to 41W. The Type-C connector can supply a maximum of 29W, it can provide quick charge for an iPhone 8 in low battery status and can quick charge the phone back up to 50% within 30 minutes. Comparing to traditional Apple chargers with 5W (5V/ 1A) power output, PQI Smart i-Charger PD’s charging capability has 15W (5V /3A), the tripled power output significantly shortens charging time. Device support wise, in addition to iPhone X, iPhone 8/Plus, MacBook 2016, iPad Pro 2016, Nintendo Switch, it also supports other USB PD compatible devices such as Samsung Galaxy S8, Google Pixel, LG V30, Xiaomi MIX2, HUAWEI Mate Book X, Dell XPS 12, etc. As for people that are concerned with quick charge heat production with long charging times, PQI’s Smart i-Charger PD has output regulation protection. It intelligently detects output power, charging device status and regulates its output accordingly. Should temperature rise sharply, power output will be cut-off to avoid or reduce any negative effects on the battery. Certified with multiple global stringent safety regulations and is insured with liability insurance up to 10 million dollars, users can be rest assure when using PQI Smart i-Charger PD to charge their devices. 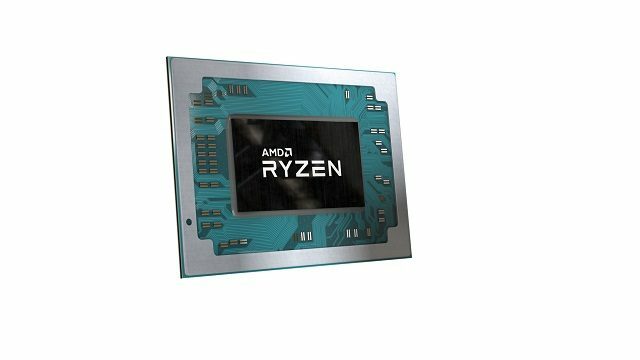 AMD announced the introduction of the AMD Ryzen mobile processor, previously codenamed the “Raven Ridge” mobile APU, providing leadership performance and a complete entertainment experience with optimal efficiency for premium 2-in-1s, convertibles and ultrathin notebook computers. 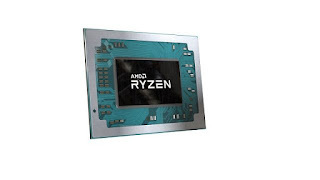 With a configurable 15-watt TDP, the AMD Ryzen 7 2700U and AMD Ryzen 5 2500U processors combine the architecture of award-winning “Zen” x86 cores–featuring AMD SenseMI Technology[ii] processor-level intelligence–with revolutionary Radeon “Vega” graphics in a System-on-Chip design to achieve unprecedented ultrathin notebook performance. The AMD Ryzen 7 2700U is the fastest processor for ultrathin notebooks, with up to 44% more multi-threaded CPU performance as well as up to 161% more graphics performance than the competition..
CORSAIR announced the launch of Carbide Series SPEC-04 Tempered Glass mid-tower gaming case. The case combines an angular, hard-edged exterior style with the sophistication of a full tempered glass side panel and excellent cooling potential.“Being a leader in gaming hardware manufacturing, we at Corsair always work closely with our customers, partners and invest in R&D to understand different needs of customers and markets. We believe that being in sync with the demands of our customers through innovative products, premium materials and unique industrial design is the key to success. Our previous cases 570X RGB, 460X RGB & the recently launched Spec 04 were a stupendous success for Corsair in India for the very same reason,” said M A Mannan, Country Manager at Corsair India.“SPEC–04 TG’s all–steel construction and tempered glass panel guarantees an elegant appearance and a crisp view of your system. 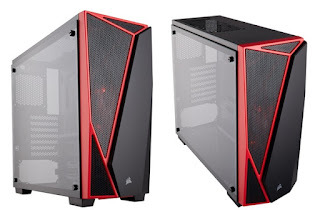 I am quite sure this case will stand apart from its competitors with modern and futuristic styling.” The sleek, tempered glass window shows off the roomy interior, which fits up to five 120mm fans and can accommodate massive storage configurations for simple and easy builds. The side mounted front IO panel and USB 3.0 port put all your connections within easy reach, while dedicated cable routing cutouts and tie downs, and built-in dust filters, combine for a system build that’s as bold as the SPEC-04’s design. ESY India has launched a wide range of ESYPOS products and solutions over the years. Today, ESY India proudly introduces a range of India’s first Smart Touch POS and Label Printers.The ESYPOS range of products was launched by ESY India in the year 2015 in collaboration with Pinnacle Technology Corporation, the world’s largest POS printer& solution device manufacturers , headquartered in Taipei (Taiwan).Within a span of two years , ESYPOS has emerged as one of India’s leading POS brands with a large number of installations across the country.At the launch of the new product range,. V P. Sajeevan, CEO,ESY India said that the POS market in India is growing at a rapid pace, thanks to the introduction of GST. He added that in the last two years, ESY India could launch many new models for POS printing and barcode scanning.“This unique product, the ESYPOS Smart POS ESP 5313, prints 3-inch receipts and labels in dual mode with multiple interfaces, including Wi-Fi, Bluetooth, Ethernet and USB. It has built-in 9-inch touchscreen that makes billing or label editing related operations easier. Since the operating system is Android, printing on cloud and remote managing is enabled. The Quad Core CPU can drive seamless computing and printing. This is truly a first of its kind in the Indian market’”. Sajeevan further added“Considering the huge potential in Barcode and Label Printing, we are also launching two new models for heavy duty label printing. Both these products come with 120 mm paper width (4.72”), a Dual Printing method with Thermal Transfer Technology and Direct Thermal Technology. In fact, all our products are BIS certified. We recently upgraded our quality certification to ISO 9000- 2015. With superior quality, unique features of ESYPOS products and our robust sales and service network across the country, we are confident of attaining already in market share before the end of 2018,” said V.P. Sajeevan.Ms. Sanuja, Marketing Head, ESY India said that taking a low-cost route to reach their potential customers. We have over a million delighted customers in India. They are our brand ambassadors. They have experienced the quality of our products and services and will be our first point of reference. We are reaching out to our database through the social media to share the news of our new product range. We are carefully managing a cost-effective marketing campaign so that we are in a position to offer our products at affordable prices to our customers’, said Ms. Sanuja.ESY India is also offering onsite warranty for one year for Label Printers including the print head. It is the only brand offering warranty for print head sup to 50 km. In fact, to make ESYPOS Label Printers give better value for money, the company is offering a full version of the “Label Shop” Label editing software worth Rs.16000, free of cost.“We have two more products, the ELP 531T and the ELP 5031T. While the ELP 531T comes with a USB interface, the ELP 5031T comes with multiple interfaces like USB, Parallel port, serial and Ethernet. 5031T also has an additional paper role holder for industrial printing (for large logistics companies, airports, factories etc.). Both these can print up to 6 inches per second,” added Sanuja. 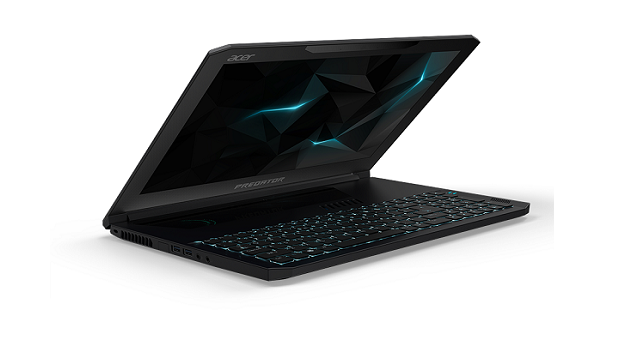 ACER announces the launch of its highly anticipated Predator Triton 700 ultrathin gaming notebook in Indian. 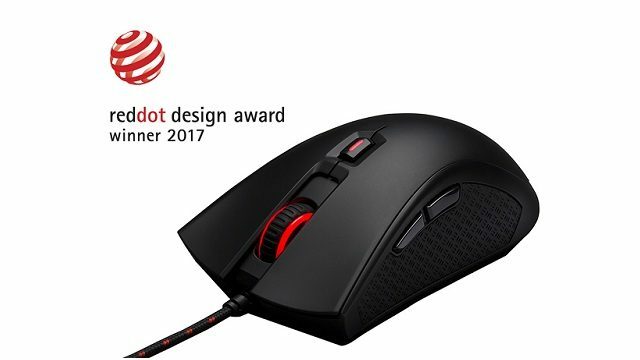 Flaunting its incredibly slim design, latest graphics and processors with industry-leading thermal technology, the Triton 700 definitely turns heads while devouring the most demanding games. The Predator Triton 700 houses the high-performance NVIDIA GeForce GTX 1080 (overclockable) GPU and 7th Generation Intel Core i7 processors in a svelte 18.9 mm-thin (0.74 inch) aluminum chassis, thanks to Acer’s industry-leading AeroBlade 3D metal fans that increase airflow by 35 percent yet take up less space within the device. Two NVMe PCIe SSDs in RAID 0 configuration and up to 32 GB of DDR4 2400 MHz memory helps the system run at peak performance. The Predator Triton 700 utilizes Max-Q, NVIDIA’s innovative approach to designing the world’s thinnest, fastest, and quietest gaming laptops. Max-Q approach, an integral part of NASA’s mission to launch man into space, is defined as the point at which the aerodynamic stress on a rocket in atmospheric flight is maximized. Thus, the design of the rocket is precision-engineered around Max-Q. NVIDIA has applied a similar philosophy to designing gaming laptops, enabling Acer to build laptops that are thinner with more GPU performance of previous generation products. Adding to it, Chandrahas Panigrahi, CMO and Consumer Business head, says, “Acer has the widest range of gaming PCs and with every launch of a new gaming laptop, we make sure that the experience is more immersive. 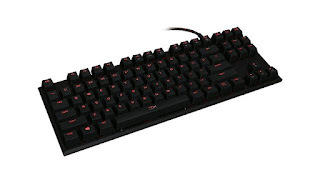 Gamers looking for a sleek design with uncompromised power will find the Triton 700 to be the perfect machine. With an ultraslim form factor, it is one of the few Notebooks that was truly built from scratch keeping in mind philosophy of delivering the maximum performance in the Slim and light Package offering Maximum Efficiency.” For a truly immersive gaming experience, the VR-ready Predator Triton 700 offers bright, vibrant visuals on a 15.6-inch Full HD IPS display with 120Hz refresh rate and supporting NVIDIA G-SYNC for buttery-smooth gameplay. Dolby Atmos surround sound and Acer TrueHarmony deliver immersive audio with crisp, rich acoustics, while Skype for Business Certification ensures conversations are clear and lag-free. 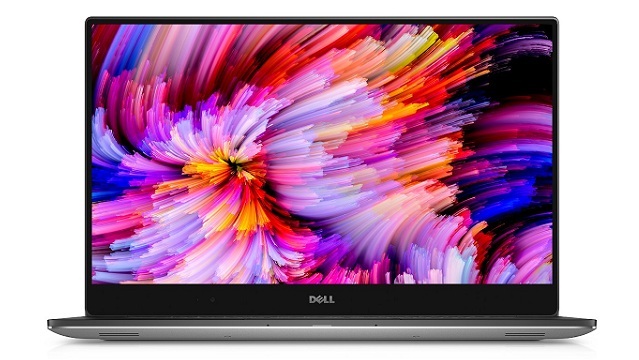 Rounding out the notebook’s powerful features are Killer DoubleShot Pro networking and Thunderbolt 3 connectivity, which provides speeds up to 40 Gbps and supports dual 4K video output. The Predator Triton 700 also includes two USB 3.0 ports (featuring power-off USB charging), one USB 2.0 port, an HDMI 2.0 port, one DisplayPort connector and a Gigabit Ethernet port for those preferring a hard-wired connection. Networking is powered by Killer DoubleShot Pro technology, which picks the fastest network connection (Ethernet or Wireless) and sends all high priority traffic over that interface, while standard traffic is sent over the other. Seagate Technology Plc Announced The Appointment Of Aditya Infotech Ltd. And Prama Hikvision India Pvt. Ltd. As Authorized Distributors For Its Video Surveillance Storage Solutions In India. Aditya Infotech Is One Of The Largest And The Fastest Growing Security And Surveillance Products And Solutions Companies In India. Aditya Infotech Offers A Complete Suite Of Security Solutions From Leading Providers Such As Cp Plus, Dahua And Panasonic. Prama Hikvision India Is A Joint Venture Of Hangzou Hikvision Digital Technology Ltd. In India. As The Industry’S Leading Surveillance Solution Providers, Aditya Infotech And Prama Hikvision Will Expand Seagate’S Reach In The Market Across The Country. Both Companies Will Be Offering Seagate Skyhawk Surveillance Drive As Part Of Their Surveillance Solutions. As The Industry’S First Surveillance Purpose-Built Drive, Seagate Skyhawk Is Optimized For 24×7 Workloads In Capacities Up To 10tb. Equipped With Enhanced Imageperfect Firmware, Skyhawk Helps To Minimize Dropped Frames And Downtime With A Workload Rating 3x That Of A Desktop Drive And Can Support The Razor Sharp Vision Of 64 Cameras. Skyhawk Drives Also Come With A Data Recovery Services Option For Additional Peace Of Mind. Beyerdynamic is transforming the sound of its headphones into a completely customized experience. Because individual sound preferences are not only about taste; on the contrary: audiology research confirms that the way people hear is as varied as people themselves. In order to create a “tailor-made suit for the ears”, beyerdynamic is working together with Mimi Hearing Technologies. Mimi’s sound customization technology allows for the creation of a personal listening profile tailored to a set of beyerdynamic headphones. This profile is based on thesoundcheck in the “Make it yours” (MIY) app and then uploaded directly to the headphones. Your favorite music never sounded so perfect: a new era for completely customized listening. Driven by innovation: over 90 years ago, Eugen Beyer dedicated himself to constantly challenging the status quo. His audio products were to be better than any others on the market. Today, this vision is still the driving force behind every beyerdynamic innovation. And they have earned the company an excellent global reputation: as an innovator, as an uncompromising manufacturer of quality, and as a reliable partner. With Tesla technology, beyerdynamic has reached a milestone in the design of headphone sound transducers and, as such, created a revolutionary listening experience. In 2017, it is time for the next step – and a uniquely customized listening experience. Until now, sound has always been statically balanced. However, we all hear sounds differently and our hearing changes over the course of our lives. Mimi’s in-headphone sound customization turns music and sounds into a completely personal experience – with individual calibration that is especially determined for your hearing. Digitek announced the launch of two premium Power Banks- Digitek Instant Power DIP 12000 PLB (12,000mAh capacity) and DIP 10000 (10,000mAh capacity) PLD. An amalgamation of performance and style, these high capacity power banks are designed to ensure that your devices never run out of charge.Boasting a sleek, compact exterior, the two devices works for at least 500 cycles. When not in use, they remain charged for a month after a full charge. Equipped with Li-Polymer batteries that can be charged fully in 5-6 hours. There are four LED indicators that indicate the remaining power status of the gadget, which makes it convenient for users.Commenting on the launch of the Power Bank series, Amit Kumar Saraff, Managing Director, IMS Mercantiles Pvt Ltd. said: “We are excited to launch two new Power Banks that packs huge capacity in a slim, elegant body. Crafted in style by Digitek’s technical experts, these super powerful gadgets promise excellent power back up. Portable, sturdy and an excellent solution to replenish the battery of smart devices and music players on the move, these power banks will surely impress you.”Digitek Instant Power DIP 10000 PLD has a single DC 5.0V 2000mA input port and two output with DC 5V-1000mA and DC 5V-2100mA current. It measures 69X14X136mm and weighs 190 gms that makes it extremely light and highly portable. Whereas, the DIP 12000 PLB Power Bank has a DC 5V-2000mA dual input port – Micro & Lightning along with dual output of DC 5V-1000mA and DC 5V-2100mA.With the net weight of 205 gms and dimensions of 64.5X14.5X132.5mm, it is slightly bigger than the former but can be easily carried along.Compatible with all iOS and Android devices, it can charge iPads, iPhone, smartphones, mobiles and even, MP3/MP4 players. For device safety system, these highly efficient power banks are manufactured with multiple safety protection system and come with an optional direct iphone charging slot as well as connector. There are plenty of fake and counterfeit products around the world and recently has become more prone to the counterfeit is the flash memory storage. PNY Technologies (“PNY) considered one of the worldwide leaders in consumer electronics market and Flash products, announce a statement regarding the fake USB Drives, recently a lot of counterfeit HP USB flash drives are being sold in the market. Customers who purchase these counterfeit, notice the problem only after they have brought it. 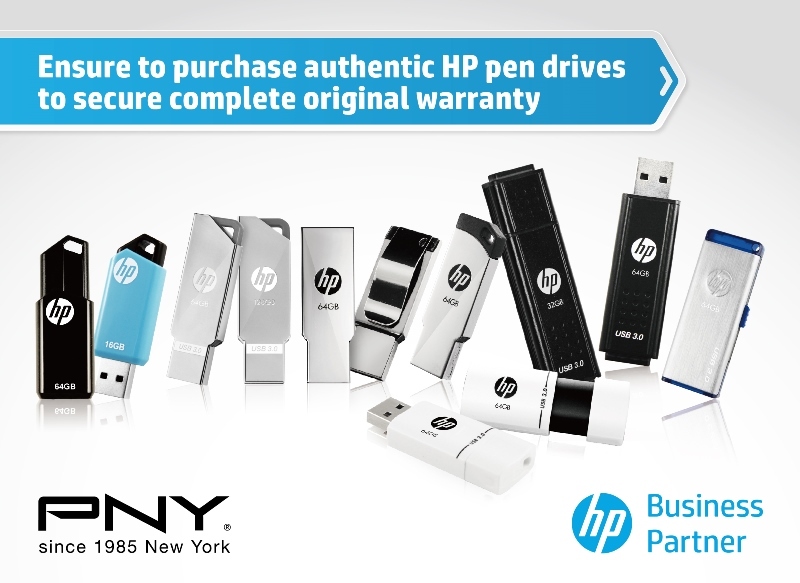 PNY would like to inform the customers to check the device before they buy it and they must buy the HP USB flash drives only from authorized shops, distributors, and retailers. Similar-looking products purchased from unauthorized distributors are likely to be counterfeits and will not carry any warranty. It is very easy to find out whether a HP flash drive is genuine or counterfeit. Ø Find HP authentic label sticker on package. Ø Slightly sway the label under light. Ø The holographic HP logo on the label will have different appearances from different angles. Ø There is an 8-digit serial number on the bottom of label, just below the hologram, which is unique to each HP USB flash drive. Ø In front side, HP logo and capacity characters are the special electrical plating after printing technology, which comes with 3-Dimentional effect. Ø In rear side, etching with model name, CE FCC logo and date code. Make sure you get only genuine HP USB flash drives by following the above advisory. Tagg announced the launch of TAGG Sports+, a Bluetooth In-Ear Headphones. Brought together by experts and designed exclusively for fitness enthusiasts and music lovers, the headphones are super sleek, performance driven and stylish. 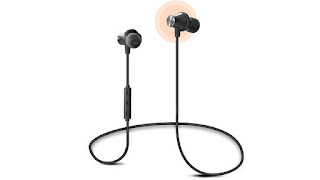 A combination of bombastic sound quality and durable built, the Tagg Sports+ ensures uninterrupted music during long workout sessions and travel.The handy and easy to wear in- ear Bluetooth Headphones are equipped with a Bluetooth V4.1 with a range of 20 feet and ATPX technology for brilliant sound quality. In regard to compatibility, it is compatible across all devices irrespective of their platform (Android or iOS) be it a tablet, smartphone or PC. With the guarantee of excellent grip during rigorous movement, the TAGG Sports+ comes with a Nano-coating technology that protects the wire from the sweat. These earbuds have a built-in microphone and in-line controls like the play, pause and the volume buttons on the wire itself. 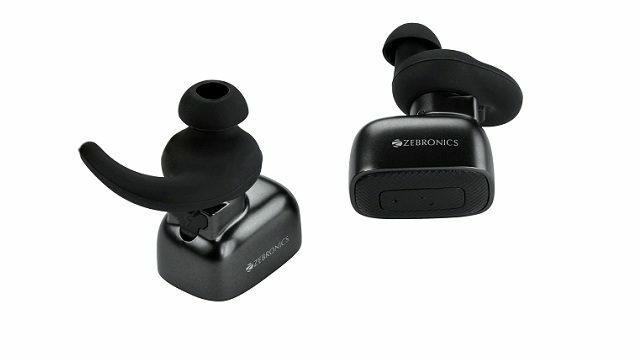 It ensures high fidelity stereo music and provides and a clear speech without causing any disruption to your routine.Commenting on the launch of the earphones, Rohit Dhingra, Co-founder, TAGG Digital said: “There has been a gradual rise in the demand of the fitness- friendly and hands free earphones in the market. The Tagg Sports+ Bluetooth In-Ear Headphones are a perfect amalgamation of dynamic audio and durable design. Assembled by Tech experts, this audio gizmo would definitely be an intelligent pick. It all comes down to the sleek look, high – quality sound, comfort and affordability that would bring it in the spotlight.”Tagg Sport+ are oblique angled earphones that match your ears naturally and also come with 3 sets of ear tip sizes, ensuring a proper fit for all. It contains built-in magnetic lock to secure the buds around the neck when not in use. The braided flat cable prevents the wire to get tangled during the workout.With a 120mAh battery that can be charged in 2 hours and lasts up to 8 hours, this small widget has a remarkable stand up time for up to 180 hours. It comes with a few accessories like USB data cable for charging and a carry pouch so that you can carry your music on the go. HP Inc. introduced an exciting range of HP Pavilion Power notebooks, specially designed to meet the needs of creative professionals. These notebooks feature highly powerful graphic and computing capabilities, paired with a bold and daring design. The Pavilion Power series is a showcase of HP’s focus on innovation in technology and aesthetics and is designed to empower the ‘creators of tomorrow’.HP is committed to delivering amazing user experiences. Hence, the HP Pavilion Power range packs high performance features to fuel the creative abilities of users. 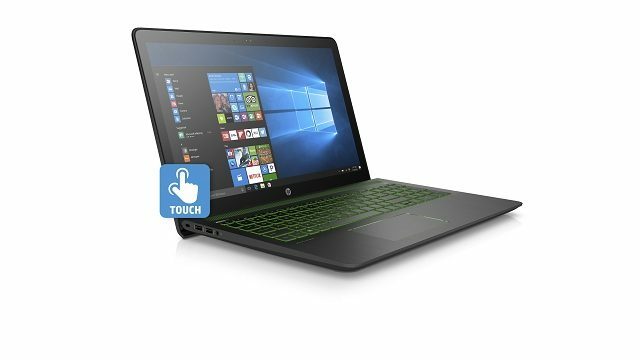 The range features NVIDIA GeForce GTX 1050 graphic card along with the latest 7th gen Quad core processor, Hybrid storage with 128GB PCIe SSD +1TB HDD storage* and HP Fast Charge (gets 90% charged in 90 minutes) – serving as an on-the-go workspace through the day. The Pavilion Power range comes preinstalled with MS Office Home & Student 2016 Edition (out of the box), which includes lifetime version of Microsoft Office productivity suite, i.e. MS Word, MS PowerPoint, MS Excel and MS OneNote for an immersive experience. Additionally, it features an IPS FHD Display along with Audio by B&O Play and HP Audio Boost thereby becoming a go-to launchpad for some unique entertainment experiences by the night. Not just this, the device features a metal keyboard deck, unique green backlight, speaker grill and lift hinge design for an ergonomic viewing experience.“At HP, we live our commitment to our consumers everyday – we keep reinventing. Our consumers help us evolve and we ensure they stay ahead of all technological advancements. Being a leader in Consumer PC segment, HP has strived to bring the best value to its customers – from design, form-factor to engineering and performance. With HP Pavillion Power, we are reaching out to the creative profressionals seeking to fulfil their creative passions by turning visions into reality,” said Anurag Arora, Head- Consumer Personal systems, HP Inc. India. PNY Technologies kick started the 4 city partner education series in India under the theme “Be the Pro in You”. First leg of this partner education road show was held in Bengaluru on 22nd September 2017. Second event is slated in New Delhi on 6th October 2017. The other two cities are Mumbai and Hyderabad in the month of November.Conducted in association with nvidia the visual computing leader, this series mainly focused on deriving the right configuration of Nvidia Quadro cards addressing professional users for various applications. Often it is seen that a mismatch in right product/solution to computing requirement results in lacuna of performance. PNY technologies are the exclusive partner for Nvidia Professional graphics solutions in India.More than 65 key partners of PNY attended this event and the session was quite interactiveJerome Belan, EMEAI CEO at PNY technologies addressed the partners and apprised them about the ambitious plans by PNY for Indian market in near future. “India is a strategic market and we are focused on developing our business here in India. We are very passionate about working with our esteemed channel partners who form out backbone to the eco-system and would continue to invest in them. This partner education series is one such imitative” said Jerome Belan. “Our mobile workstation series Prevail Pro would be another game changer as we plan to introduce the same in India very soon” he added. 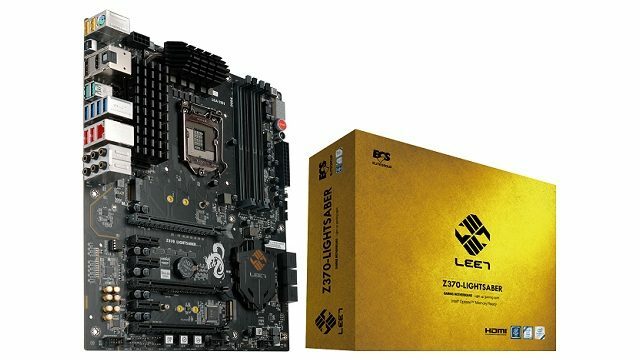 Elitegroup Computer System (ECS) is proud to announce the new Z370-Lightsaber motherboard supporting Intel 8th generation Core “Coffee Lake” LGA 1151 desktop processors.ECS Elitegroup Z370-Lightsaber is built in the ATX form-factor, supporting up to 64GB of dual channel DDR4 memory rated at 3200MHz+; three PCIe 3.0 x16 slots and three PCIe x1 slots for expansion. For storage slots, two M.2 32Gb/s Gen3 slots with one slot also supports SATA, and six SATA 6Gb/s ports that supports RAID 0/1/5/10. 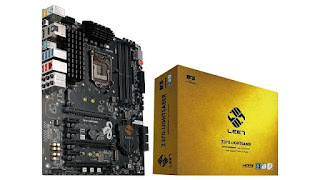 For users requires faster storage options, the board also supports Intel Optane technology for PCIe SSDs as well.On the power & audio side, the motherboard comes with DiGi Power – Digital power designs with durable chokes and MOSFETs, offering more stable power delivery and more stable overclocking across the board, and Superior Audio – Featuring Realtek ALC 1150 8-channel (7.1) HD Audio along with Independent power delivery for the audio chip to avoid electromagnetic interference, onboard audio amplifier, Nichicon capacitors and golden audio connectors to provide an exceptional audio experience.In addition, the motherboard offers a total of fifteen USB ports (two USB 3.1, six USB 3.0, seven USB 2.0) with lightning USB technology, offering better and faster transfer rates via USB devices, Multi-BIOSes, easy buttons for hassle free CPU OC, and LED illumination lighting that is adjustable via bios. ADATA Technology launched its first dedicated audio products. 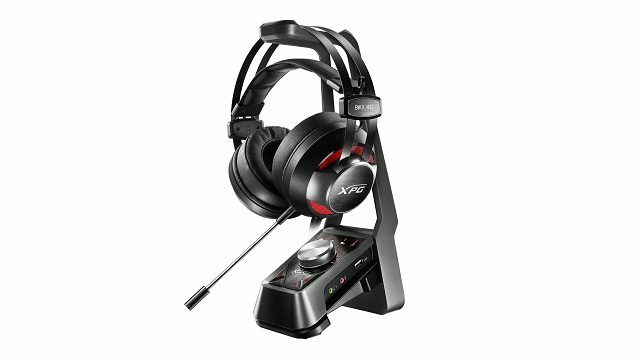 The three are XPG-branded as they deliver powerful, clear, and comfortable sonic experiences to enthusiast gamers. The EMIX H30 headsets feature a full-sized, over-ear design with 53mm drivers while EMIX I30 earphones bring an advanced in-ear design with oversized 13.5mm drivers. The SOLOX F30 amplifier (sold paired with EMIX H30 or separately) provides multiple connections, four audio presets, and virtual 7.1 surround.All three products boast an attractive gaming-inspired style, while EMIX H30 and EMIX I30 are universally compatible with PC, Mac, consoles, and mobile devices. Precision sound processing enables SOLOX F30 to act as an external audio card and amplifier for PC and Mac. Virtual 7.1-channel surround adds depth to sound and more accurate positioning within games for a competitive edge. SOLOX F30 has four sound presets: game, movie, music, and voice. Multiple connections increase its versatility, and it can output audio to headsets and speakers simultaneously or separately. Customers can purchase the SOLOX F30 in a bundle with EMIX H30 and a headset stand, or separately. The full-size EMIX H30 headsets deliver a wide sonic range with powerful bass thanks to their 53mm drivers. They do so while ensuring complete comfort even during extended gaming sessions thanks to breathable memory foam ear cushions, a self-adjusting headband, and carefully optimized clamping force. The detachable microphone ensures gamers are clearly heard by team members, just as the braided cable and gold-plated connector withstand extended and demanding use without sound quality degradation.As most personal audio products for gamers are larger headset designs, compact and mobile in-ear options are rare. EMIX I30 earphones have powerful 13.5mm drivers and a design that fits snugly in ear canals to leave unwanted noise out and enjoyable sound in. Thanks to their oversized drivers, EMIX I30 earphones are able to produce patented 5.2-channel surround sound with a strong spatial effect. While compact and light, EMIX I30 earphones bring gamers impactful sound whether at home or on the go.